Many individuals believe they know what kidnapping means until they face charges for the crime. They picture it as an adult taking a child they have no right to and running away to a remote place. However, kidnapping does not have to include children or going far away. Both the victim and perpetrator may be adults and may all take place in one location. If you have been charged with kidnapping and you are not sure what this means for your future, contact the experienced Orlando criminal defense attorneys of our office for immediate help with your case. Interfere with the running or a political function or government. It is important to look at what abduct or imprison mean. An abduction means to take a person away by force, fraud, or persuasion. This is what many people think of with kidnapping, since it requires a person is removed from one place and taken to another, even if the two locations are not far apart. However, imprisoning a person does not require moving them. Imprisonment means to restrain a person and confine them to a specific area. Restraints may be immediate, such as binding a person’s hands and feet. However, it can also include using a locked door to keep someone in a room or building. For prosecutors to charge an individual with kidnapping, there must be evidence of the means, the action, a lack of legal authority, and intent. All of these necessary elements provide places to pick apart the prosecutor’s case and defend the accused. A strong defense to kidnapping is that the defendant did not restrain and confine the individual. For instance, a person may have thought they were locked within a home, but it turns out there were unlocked exits. Another strong defense is that the defendant lacked the necessary intent to kidnap the alleged victim. For example, a parent may have picked up their child from school and for a punishment, locked the child in their room. While some adults may find the punishment misguided, the parent had no intention of harming their child, asking for a ransom, committing a felony, or interfering with the government. If an individual is charged with kidnapping, they face a first degree felony, punishable by up to 30 years in prison or up to life in prison and a $10,000 fine. If you or a loved one has been charged with kidnapping someone, you should immediately call for help. 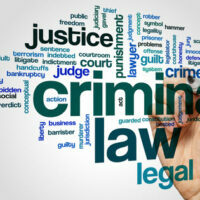 The experienced Kissimmee criminal defense attorneys of Salazar & Kelly Law Group, P.A. understand how scary this situation can be and will do what they can to protect your freedom. Call us today at 407-483-0500 to schedule an initial consultation.